Video lets your potential customers see how they can benefit from purchasing your product. It beats any image or written content. Also, you can include more information in a 20 seconds video than in half a page of product description which visitors don’t always have the patience to read. 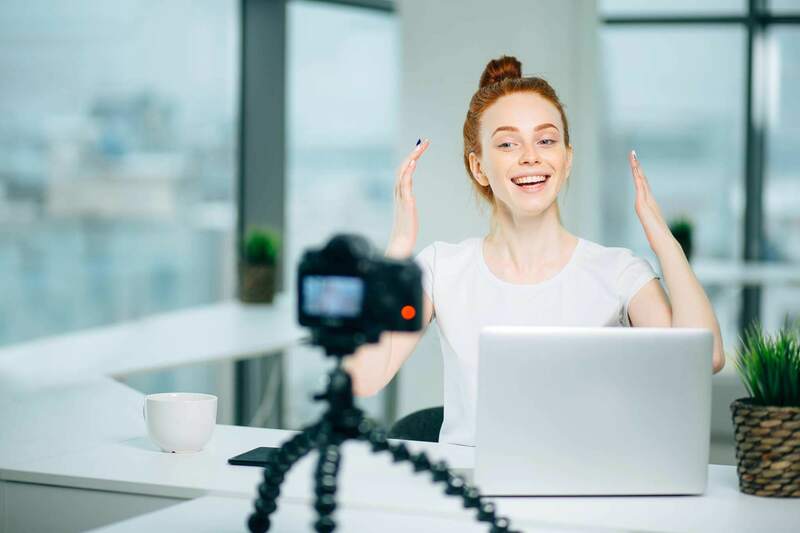 If you’re looking for an engaging medium to boost your site’s conversion rates and produce financial returns, using video to sell your product is the solution. One way to increase your new business revenue is by using “how-to” videos which easily capture prospects attention. Set a specific purpose for each video and adjust the style in correlation with your product. Upload your videos on social platforms like YouTube, Facebook, and Instagram but don’t disregard your own website. Remember that Google provides mixed search results and if you optimize your videos correctly they can rank exponentially. Considering that YouTube is owned by Google, you can understand the weight video content has in your SEO strategy. You should also add keywords in the metadata, tags, and name of your videos for better ranking in the SERPs. Because they’re dealing with an overload of information, users prefer to watch videos than reading text heavy content. You’ll also be benefiting from increased visibility because once videos are shared or liked by users on social platforms, they appear on their profile pages. Other users might also embed your video onto their website which extends your reach. You can build up your traffic and increase conversions by showing your audience that you are an expert in the field of the products you’re selling. By leveraging your credibility you’re more likely to convince prospects to believe in your brand and the products you sell. In turn, they’ll choose to purchase the product so they can enjoy the benefits you show them. Create a playlist and a dedicated channel on Youtube. LinkedIn is another great platform where you can distribute videos to reach out to different audiences. Create videos which make prospects believe they were created especially for them. The more relevant the video is, the more likely you’ll secure new customers. To add even more value, create entertainment to back up the story line of the product in your video. It shouldn’t necessarily be funny but it should capture the attention of viewers and place them in a familiar setting. Show viewers you understand the problems they’re facing and how your products can help. The secret is to emotionally engage your audience and present the culture and passion of your brand, rather than just presenting your products’ features. It will help you increase customer loyalty and in return improve your sales. By showing your product in action and clearly explaining to your audience how it will solve their problems, you’ll shut down any of the buyers’ doubts before they make the actual purchase. By pitching your product in an easily relatable format and placing it in the context of your brand’s story, you’ll captivate your viewers and convince them that they really need what you’re selling.